John Wesley Dowdy, age 78, of Lavonia, GA (formerly of Dahlonega, GA) passed away on Friday December 30, 2016. He loved and cared for all his family; the children, grandchildren and great-grandchildren, each one was loved and special to him. John was the son of the late Clifford and Clydie Marlow Dowdy. He is also preceded in death by his brothers, C.D. Dowdy and Hoyt Dowdy; and sister, Stella Mae Dowdy. 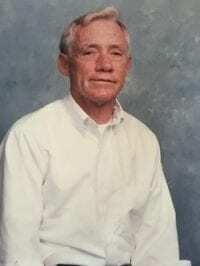 John is survived by his sons, John “Tony” Dowdy, Villa Rica, GA, Noel Dowdy, Newnan, GA; son and daughter-in-law, Vincent and Sheila Dowdy, Maysville, GA; daughter, Lynn Harned, Lavonia, GA; grandchildren, Joshua Harned, Sarah Hill, Caleb Harned, Johnny Harned, David Harned, Sam Harned, Abbi Harned, Emily White, Bryson Dowdy; great-grandchildren, West Youngblood, Amellia Hill, Clayton Harned, Payton Harned, Damian Harned, Starla Harned, Madison Harned, Alyssa Harned and Kambrey Harned. Numerous other relatives also survive. Funeral services for John are scheduled for 1 PM Tuesday January 3, 2017 at the Banister Funeral Home Chapel in Dahlonega, GA.
Rev. Tommy Childers will officiate. Interment will follow in the Philippi Baptist Church Cemetery. The family will receive friends at Banister Funeral Home in Dahlonega, GA on Tuesday January 3, 2017 from 11 AM until time of service. « Previous Article Who Is Obama?